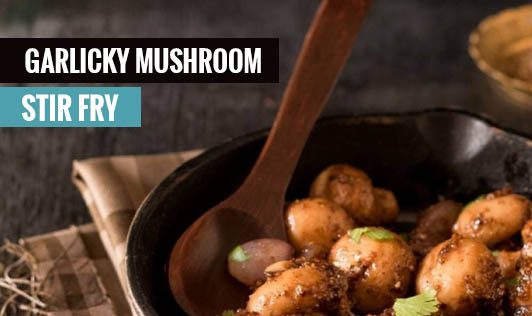 This garlic-flavored mushroom stir fry recipe can be relished both as a starter as well as a side dish with breads of your choice. Heat olive oil in a nonstick pan and add garlic and sauté till it turns golden brown. Add sliced mushrooms, salt, red wine, and mix everything together. Cover and cook on low flame for 10 minutes.